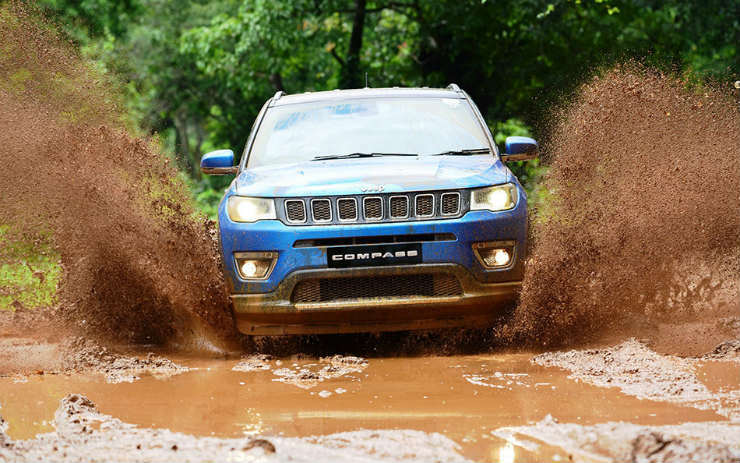 Jeep Compass, which was launched in India in July has already garnered more than 10,000 bookings. The growing popularity of the mid-size SUV has forced its direct competitor by price, Hyundai Tucson to cut price. Hyundai has announced a discount of Rs. 1 lakh on the Tucson, but there’s a catch. The discount of Rs. 1 lakh is applicable only on the Make Year 2016 vehicles and not on 2017. However, there are no changes in the features, looks or specifications between the vehicles that were manufactured in 2016 and now. The discount comes just before the festive season to lure the buyers. Jeep Compass, on the other hand, is enjoying the growing popularity in India. After getting a huge number of bookings, Jeep had dispatched 935 units of the vehicle in July and 2,020 units of the vehicle in August. Hyundai, in the same period of time, dispatched much lower units of the Tucson. In July, Hyundai sold only 116 units of the vehicle while in August, India’s second largest manufacturer could sell only 251 units of the vehicle. Even though Hyundai is a trusted brand when it comes to mass segment vehicles, other brands are preferred when it comes to the premium brands. Hyundai offers the Tucson in both petrol and diesel engine options, but there is no 4WD option for the vehicle. The price of Hyundai Tucson starts at Rs. 18.13 lakh, ex-showroom, Delhi and the top end goes till Rs. 2386 lakh. Jeep has priced the Compass at an exceptional price. It starts at Rs. 14.95 lakh and goes till 20.65 lakh. The top-end of the Compass offers 4WD, but there’s no automatic transmission with the vehicle. Jeep also offers a large number of variants to suit the various customer needs. Jeep India has already ramped up their production to accommodate the increasing demand. Hyundai, on the other hand, still has stock left from MY2016 on which it is now offering a discount to clear the stock.